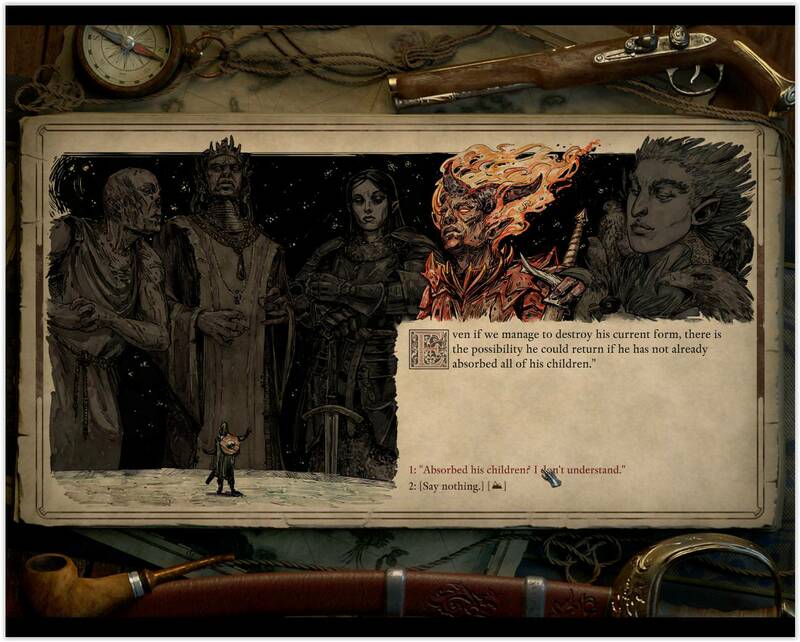 I've been thinking about the godlikes we haven't seen - especially after the spoiler image from one of the earlier threads - and I realized that I'm not sure if there would be Eothas godlikes or not. I assume there would not be while he was dead in the first game, and I assume there would not be after the end of the second. Would there be godlikes born during his giant pilgrimage, or before his death in the war? Is there any reference to them existing? I ask because it was later revealed that the godlikes have a secondary or primary function to be tools for the gods, at the godlikes' expense. I'm not sure if Eothas would find that acceptable or not, based on his behavior in various in-game books and in-game interactions with the Watcher. She says it before the conversation revealing that godlikes are a backup plan for the gods. When Watcher asks what she means no answer is given. So I guess there were Eothas godlikes and gods speculate that he either absorbed them or left them alone to possibly possess them if his adra giant plan fails. Would Eothas use his godlikes like this? I think he would because he does after all absorb all of those lives on his way. And says he does it out of love. For the greater good. Edited by handsomenat, 09 July 2018 - 05:15 AM. Oh good point! I had completely forgotten about that. I agree, though I think it's possible to go either way. He's willing to sacrifice kith lives for what he thinks is a net positive. It's possible St.Waiden was one of Eothas godlikes. If that is the case, before hosting Eothas he looked like a regular human. Would not be too strange for his godlikes to be understated, as Eothas presented himself just as "a young man holding a candle and wearing a crown of shining silver". Edited by Suen, 09 July 2018 - 09:28 PM. I think St. Waidwen was physically transformed when Eothas possessed him. He was described as having a head that shined like a beacon. So I assume that's how Eothas' godlikes would look like.